Rihanna reportedly did a ten hour photoshoot at Pier 59 in New York on April 14. Photographers caught the singer leaving the building looking radiant in a green top, jeans and a pair of highly-coveted sneakers. 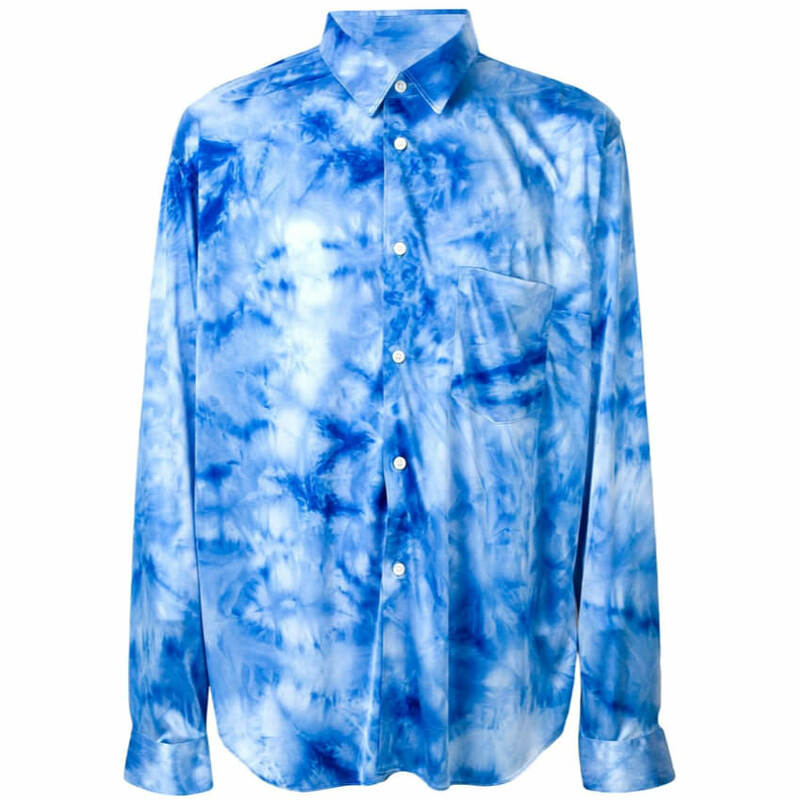 The superstar rocked a green tie-dye shirt from Comme des Garçons’ Homme Plus line (pictured here in blue.) The button front shirt has long sleeves and a chest pocket. Unfortunately, it doesn’t seem to be available online in green at the moment so check out the pink version or the blue version from SSENSE for $490. Tie-dye is one of the biggest trends for Spring/Summer 2019 and Rih has fully embraced it. She previously combined tie-dye pieces by Louis Vuitton and Asai for a killer look. The Barbadian beauty paired the top with Rocket skinny jeans ($340) by Citizens of Humanity. 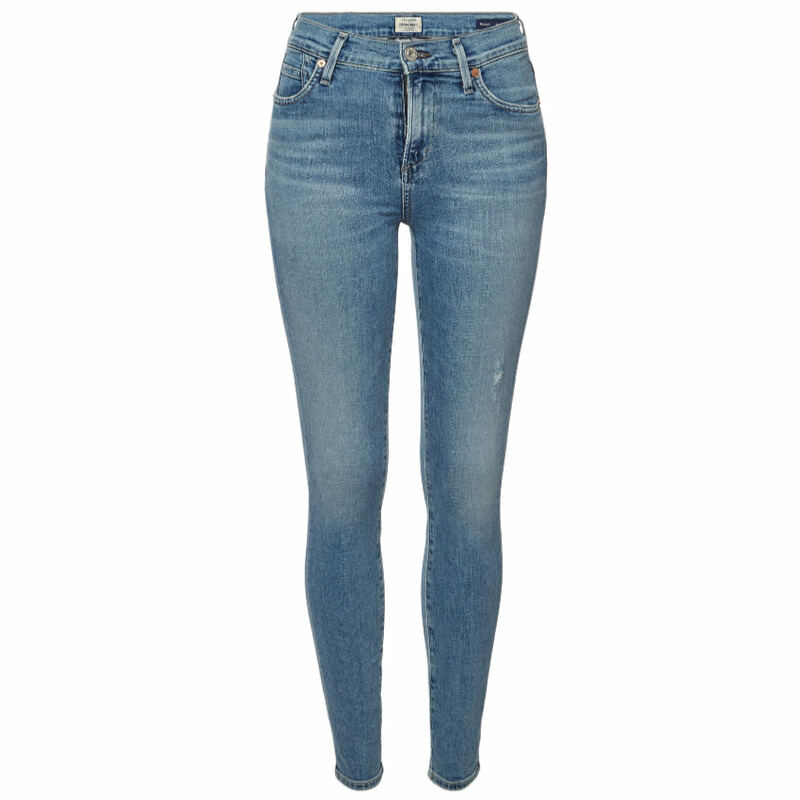 The high-waisted jeans feature faded whiskering on the thighs and distressing above the knee. Both hems are frayed in the back. Rihanna donned the Off-White x Nike Air Jordan 1 “UNC” sneakers in dark powder blue. Made of premium leather, the sneakers feature a blue overlay with deconstructed swoosh logos and orange thread detail. 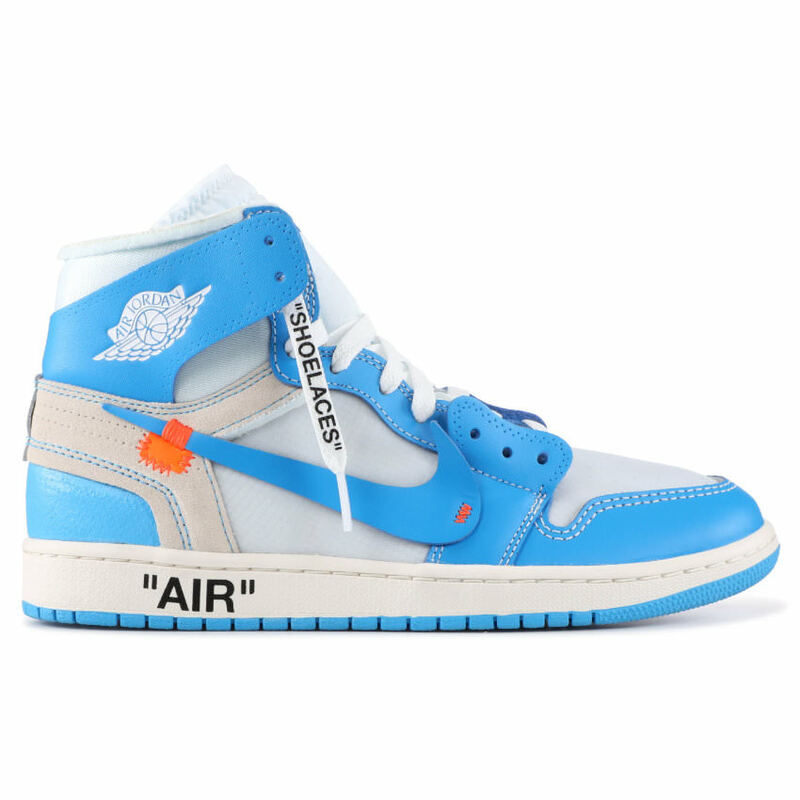 There is “AIR” branding on the midsole as well as “Off-White for Nike” branded text on the medial sides. Attached is one of Off-White’s signature red zip ties. The orange, white and blue laces that come with the shoes have the word “shoelaces” printed on them in block letters. These collaborations are so popular that the shoes sell out within minutes. If you want to own a pair, you’ll have to purchase from a reseller and spend sometimes upwards of $1,000. 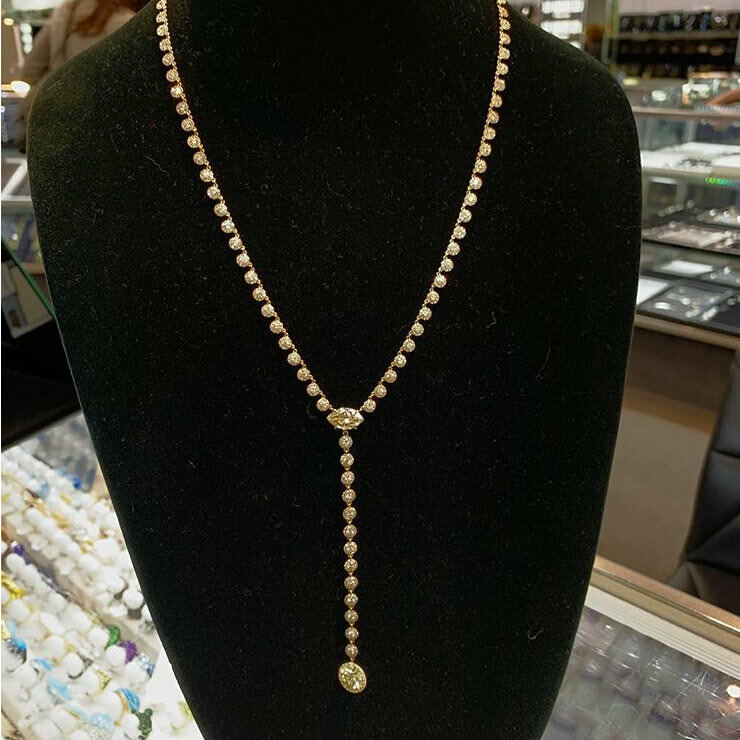 Her jewellery included this custom yellow diamond lariat necklace by XIV Karats. She also sported vintage Dior sunglasses from Depuis 1924. She first wore the shades back in September 2017.